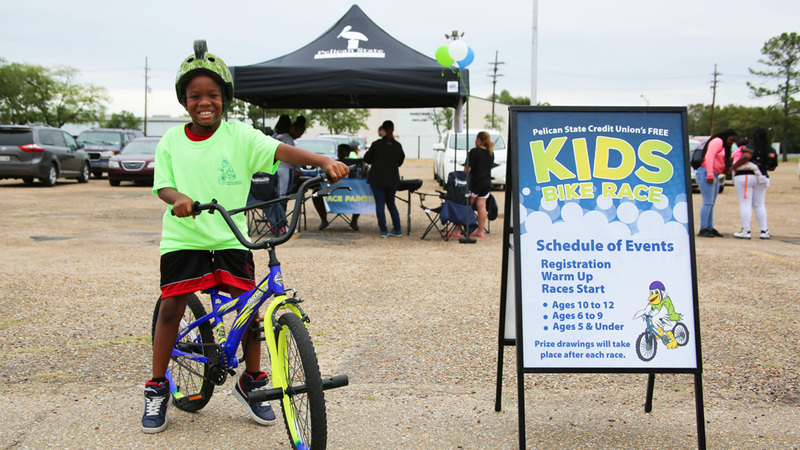 Over the past 15 years, we’ve gotten a lot of great feedback on our Annual FREE Kids Bike Race in Denham Springs, so we wanted to bring that free community event up to Northern Louisiana! 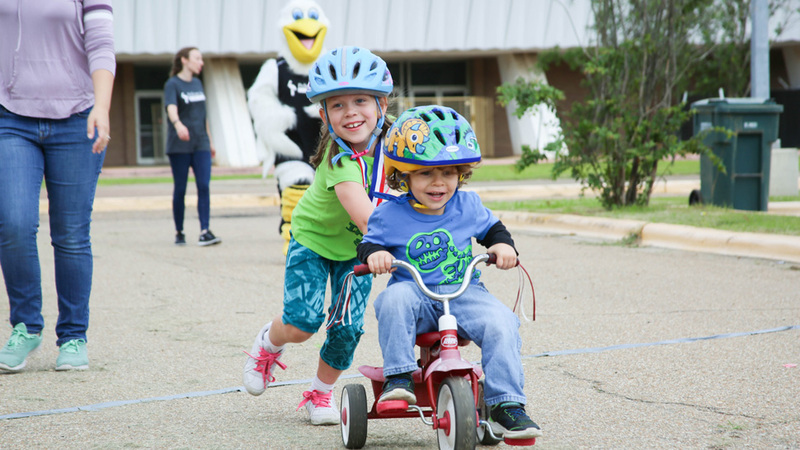 On October 13, we held our first FREE Kids Bike Race at the Monroe Civic Center. The event was hosted by our two local branches in the Monroe area and was open to all children 12 and under. For this event, we encouraged the parents to leave their wallets at home and bring plenty of energy—plus their kids, of course! Thanks to our sponsors, all of the attendees could enjoy snacks, face painting, a bounce house, a big red firetruck and more at the event. Face painting was available with the help of our Shreveport family, and by the size of the line, we could see that this was a big hit for the kids! Other favorites included hula hoops and bean bag toss. 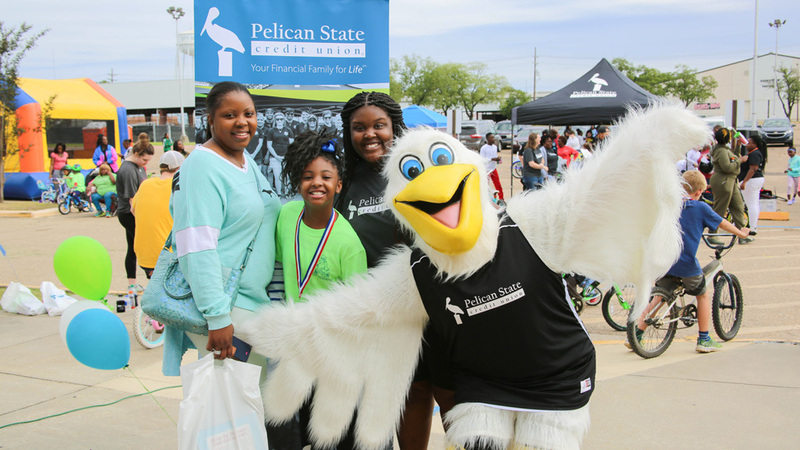 Each kid in attendance was entered into a drawing for one of three Altitude trampoline party packs, and all of the parents’ names were also put into drawings for Pelican prize packs with gift cards to local retailers. What good is an event without music to go with it? The famous DJ T-Bayb from Hot 103.1 was there pushing us through it all! His high energy and excitement for the children could not be overlooked! He kept everyone enthused throughout the day with music, announcements and commentary. With his microphone in hand, he even participated in the parent race! With Petey’s help, everyone warmed up by stretching followed by a few light exercises. After ensuring everyone had their helmets on, the kids were off! The excitement and enthusiasm of the parents, volunteers and kids really made everything worthwhile! 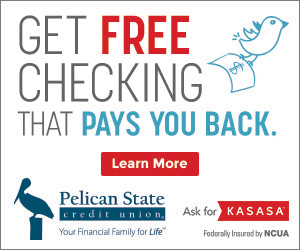 Many of the parents stated that they were so glad Pelican did this. I was speaking with one parent at the event, and she told me how happy she was to have something free for her daughter to do in the morning. It also gave her a reason to pull out the bike she forgot she had! After each age group finished their laps, that race’s participants received medals to wear around their necks. As a surprise event at the end, the parents were invited to get on their kids’ bikes and race around for a couple of laps. 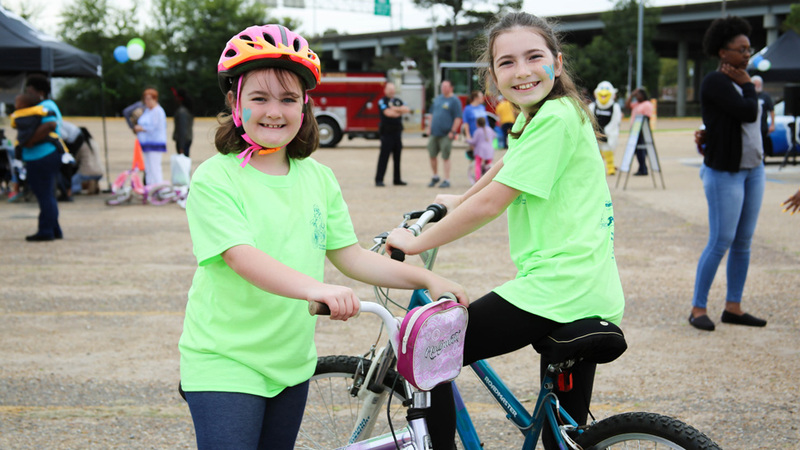 As they got on their children’s bicycles and pedaled away, you could see in everyone’s eyes how happy the bike race made them. 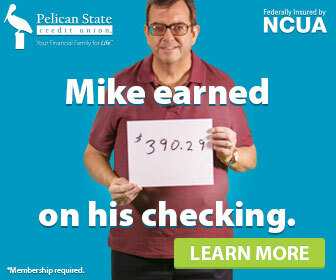 Here in Monroe, we’re already looking forward to doing this event again. Thank you to all of the parents, kids and sponsors who made this event extra special and successful! 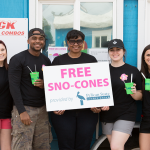 Want us to host an event like this in your community? Tell us where in the comments below! 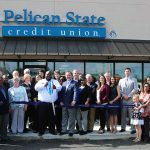 I work as teller for Pelican State Credit Union in Monroe. 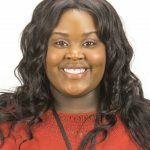 Lover of all things Beyoncé, fun and food. If I’m not careful, I sometimes find myself overindulging in the first one—oops!